The Canberra Times today carried a story related to the Northbourne Avenue national design competition. University of Canberra's chair of urban and regional planning, Barbara Norman, said the gateway into the nation's capital should be a showcase for sustainable urban design and any discussion about sustainable development would have to include a transport plan. ''I advocate an integrated transport plan so there will still be cars in the future but we should also seriously consider light rail,'' Professor Norman said. 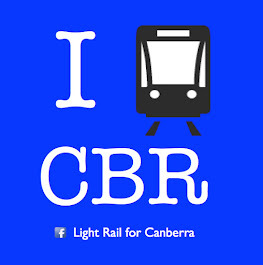 This is a natural starting point for a light rail network in Canberra, although to be truly integrated it would need to run all the way to Gungahlin Town Centre.